Happy to share with you this recent publication from the UK’s Guardian Newspaper. This story focuses on the rise in popularity of milk in China and the potential environmental consequences this is going to have for the world. It’s an important and significant story and I was pleased to be able to provide some of the visuals that went with this story. 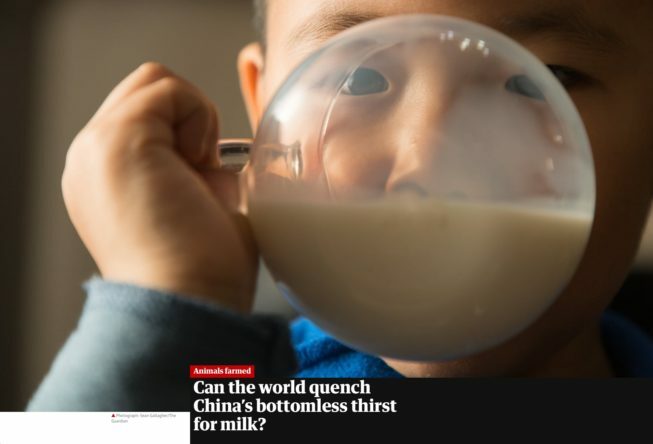 Read the full article, Can the world quench China’s bottomless thirst for milk?, and the the images in larger display.